The Galactica Sitrep is signing off for a now as we take a brief hiatus. The site will relaunch in the very near future. In the meantime click these links to keep up with Battlestar Galactica and Blood and Chrome news. And you can follow me on Twitter as well. 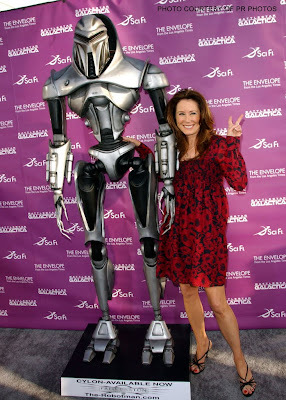 And be sure to visit the Battlestar Wiki. Celebrating its 30th anniversary, this vivid musical is the filmed version of the play that made Edward James Olmos a star. 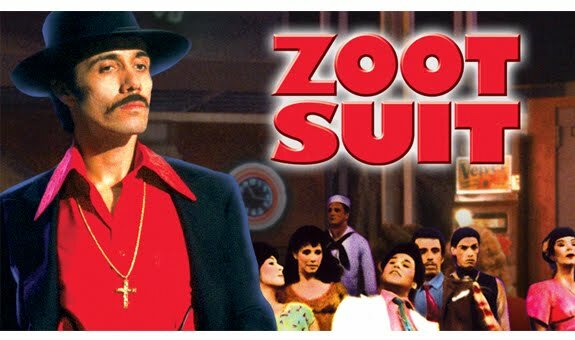 Olmos reprises his role as the narrator, the mythical “Pachuco,” in this blend of fact and fantasy based on the Sleepy Lagoon murder trial and Zoot Suit Riots of 1940s Los Angeles. Daniel Valdez (also reprising his stage role) stars as Henry Reyna, the leader of a group of young Mexican Americans wrongfully imprisoned for murder. Both the play and film were written and directed by Luis Valdez and feature the music of Daniel Valdez and Lalo Guerrero, the “father of Chicano music.” Print and film still courtesy of Universal Pictures. Special Program: The evening’s host and panel moderator will be Betto Arcos, independent radio producer and host of KPFK's "Global Village" world music show. Panel discussion with film director Luis Valdez, film stars Edward James Olmos and Rose Portillo, and Dr. Eric Avila, Associate Professor, Chicano Studies, History, and Urban Planning, University of California, Los Angeles. 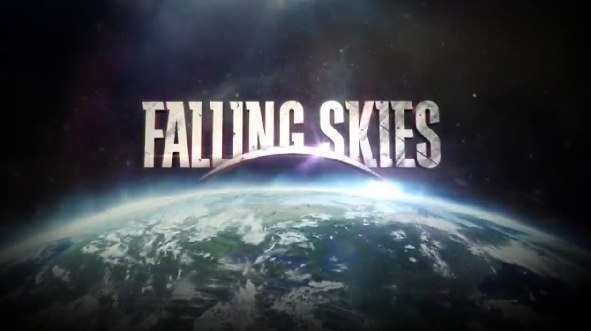 Join us Sunday on TNT, at 9:00PM for the two hour premiere on 6/19, then at 10PM after that. You got your aliens. You got your resistance fighters. You've got the talents of series creators/executive producers Steven Spielberg and Robert Rodat. Plus! You've got the amazing Noah Wyle, Moon Bloodgood, Will Patton, Drew Roy, Sarah Carter, Colin Cunningham, Jessy Schram, Seychelle Gabriel, Maxim Knight, Dylan Authors, Connor Jessup, Mpho Koaho, Peter Shinkoda and Dale Dye... plus guest stars Steven Weber, Henry Czerny, Blair Brown and a whole bunch more! And! There's writing by series creator Robert Rodat, along with Graham Yost, Fred Golin, Melinda Hsu Taylor, Joe Weisberg, and Joel Thompson. And, well, me. Exceptional supervising/producing by Greg Beeman, exceptional line producing by John Ryan, superlative direction by Carl Franklin, Greg Beeman, Fred Toye, Sergio-Mimeca Garcia, Anthony Hemingway and Holly Dale! This amazing site is a list of links to a plethora of reviews, most good. 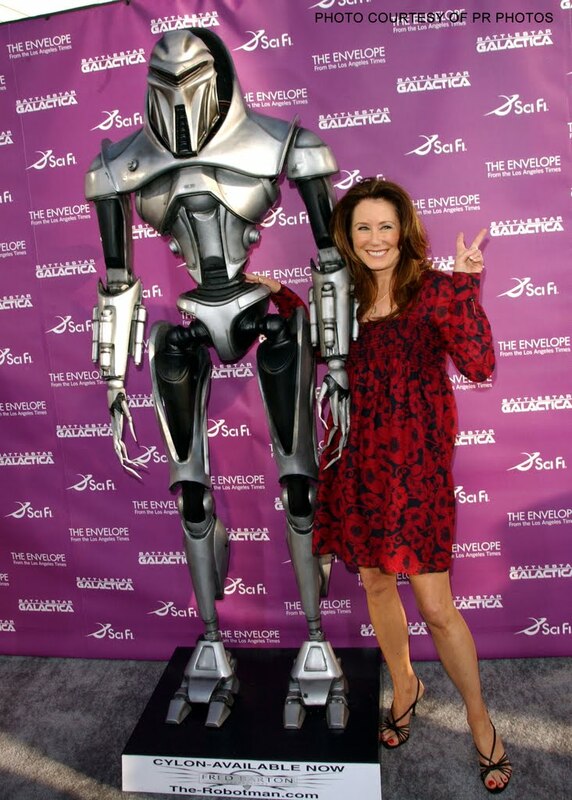 Maureen Ryan talked to Mary McDonnell about Battlestar Galactica coming to BBC America on Saturday, June 11th, and about Mary's upcoming staring role in a spin off of TNT's The Closer, called Major Crimes. Bear McCreary has posted some more solo piano videos to YouTube. Tonight on Animal Planet the Sea Shepherd Conservation Society's Battlestar fleet wages war to prevent the Cylons from murdering whales in the Southern Ocean.